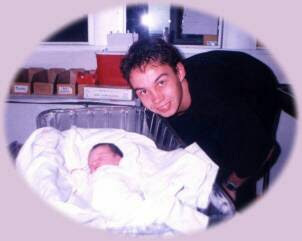 15 years ago, this tiny little human being came into our lives and completely changed the path we were walking. I remember sitting on the hospital bed, playing with this perfect little human being, and she smiled for the first time, only hours after she took her first breath, and took my breath away. I was in love. She changed our lives, for the better. And I am so grateful. I am also grateful that she has survived the last 15 years, despite being raised by two eternal teenagers. And not just survived, but grown up to be a beautiful human being with a caring and generous soul, a sharp brain and tongue, and a strong sense of right and wrong. I am so proud. Happy birthday, oh daughter of mine.